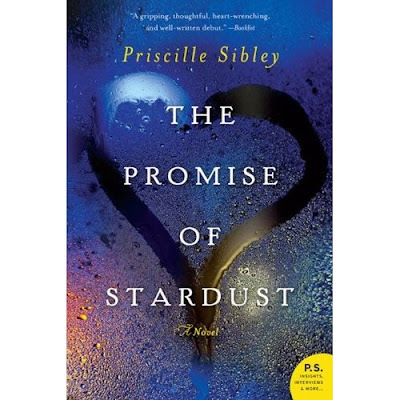 The Promise of Stardust by Priscille Sibley (William Morrow (HarperCollins)) is among one of the best books I’ve read this year. It’s even more surprising that it’s a debut novel. It’s delicate, well-written and heart-wrenching. Matt Beaulieu and Elle McClure have known each other since they were young. When Matt was two and held Elle, who was a baby, in his arms, he spoke his first words. When Matt was seventeen, he kissed Elle under a blanket of shining stars. Years later, they’ve married each other. However, an accident leaves Elle brain-dead. Matt’s ready to sign the papers to pull Elle off of life support, something that was Elle’s wish. Elle watched her mother, who was ridden with cancer, die a slow death and vowed that she would never be in the same position. Matt discovers that Elle’s pregnant and his choice becomes less clear. His family is split about what to do and so is Elle’s family. Soon, it spirals into a legal battle, driven by principle, and goes beyond the McClure’s and Beaulieu’s. On the summary alone, The Promise of Stardust seems like a novel that would get lost between medical ethos, varying lines of right and wrong. However, it doesn’t. It presents a story that captivates the readers, that goes beyond life or death. It’s nuanced, it’s delicate and it sidesteps the question of right or wrong, presenting a story that readers can sympathize with. Both sides of the question are presented but as the story shows, there is no right answer. In the end, Matt’s still not sure if he’s made the right decision. The paperback edition of The Promise of Stardust contains an additional section that contains an interview with the author, Priscille Sibley. In it, she mentions that she’s a fan of Jodi Picoult and I thought, “Yes! The Promise of Stardust is quite like Picoult.” That said however, The Promise of Stardust isn’t a mimicry of Jodi Picoult’s novel. It’s different, refreshing and shines on its own. While writing this, I’m trying to find a passage I really like, but in reality, I flip to any page and I find something I like. So here I am, sharing a non-spoiler passage, with Matt sharing a memory. I’ve already reread The Promise of Stardust and will be following Sibley’s career. Have you read any recent debut novels? If so, what are they?